As 2013 comes to a close, La Pampa Grill would like to say thank you for the tremendous support during this, our second, year in business. Our growth and achievements this year surpassed our goals, as each of o ur products—cooked in the traditional wood-fire Argentine style—reached a wider audience and supported a greater number of local farms and food growers. 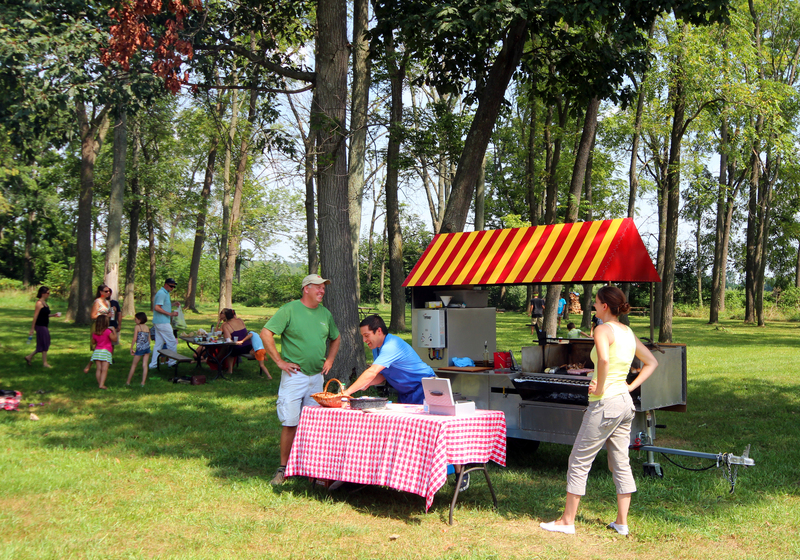 These efforts began prior to the start of the 2013 season, as Mariano made four trips to Michigan during the design and completion of the custom Argentine grill food-cart by Concession Cart Company—whose designer is also Argentine! In 2013, La Pampa Grill introduced “el choripan” (Argentine sub) to more than 2,000 people, with its exquisite baguette bread from Emporium Wines & the Underdog Cafe, freshly baked every morning by Daryl Stanforth and his team of bakers who use all organic ingredients. And more th an 10 whole pigs were processed into chorizo sausage this year (Anderson family farm, New Liberty Farm, Mullin family, etc.)! Since Anderson didn’t plant a corn crop this year, Mariano enthusiastically searched a little farther from home to Sutton Farm to bring GMO-free corn to the street. Many of you have seen Mariano on Saturday mornings rushing through the Yellow Springs Farmers Market, chatting with Doug, Dale, Michelle, Kat and Doug. From this amazing group of small-scale farmers who have been committed for more than five years, some many more, to this way of life and growing locally, La Pampa Grill was able to bring you Italian pepper toast, overripe Heirloom tomatoes, and our famous La Pampa chicken wings (Morning Sun Farm). Your continual support of La Pampa’s grilling brought Mariano every si ngle Saturday to pick up more produce. 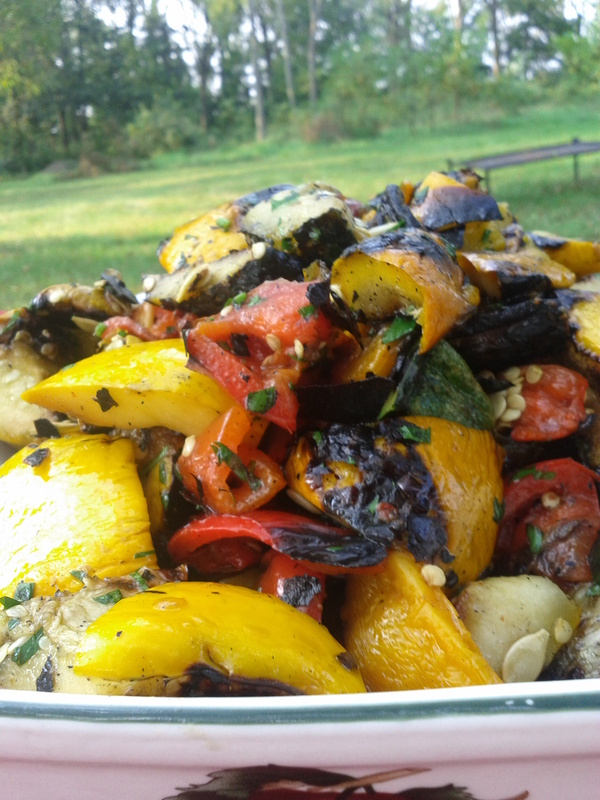 What is more, knowing that La Pampa would be grilling at the newly opened and now a mainstay in town, Yellow Springs Brewery, on Fridays, Mariano ventured out to the Centerville Farmers Market on Thursdays to ensure the freshest produce. 2013 was ‘the year of the lamb’ for La Pampa. 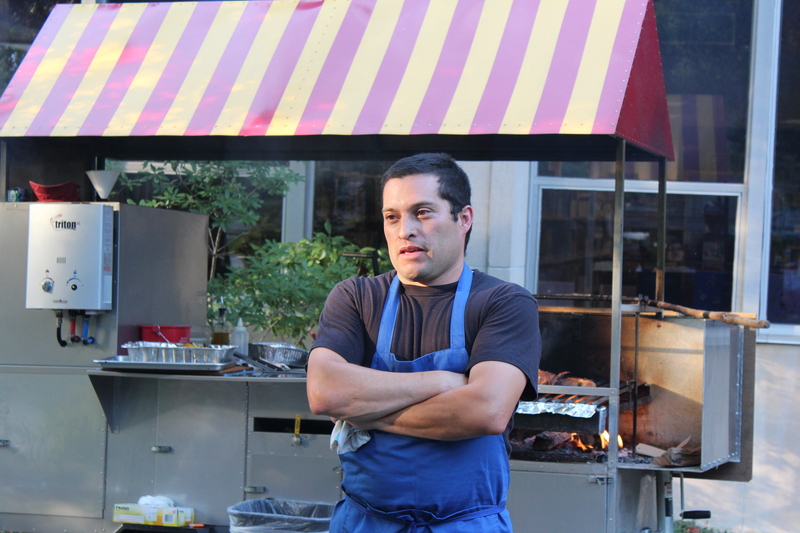 In our annual goals, La Pampa had hoped to achieve the grilling of whole lamb and grass-fed beef by year three. But this, our second year, La Pampa was able to introduce both, finding s upport from Apple Oak Meadows and from the Amish and Mennonite communities in the Mount Victory, Ohio, area. 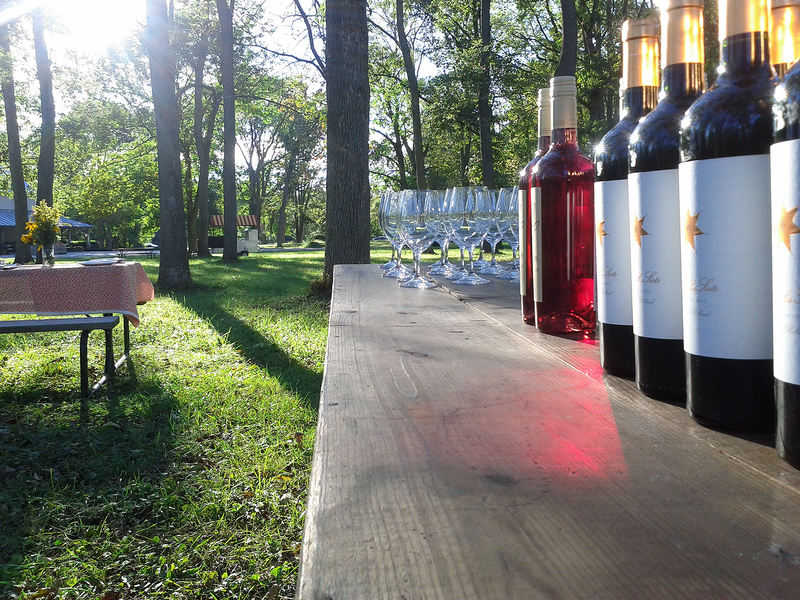 In addition, La Pampa’s private parties also really took off this year! 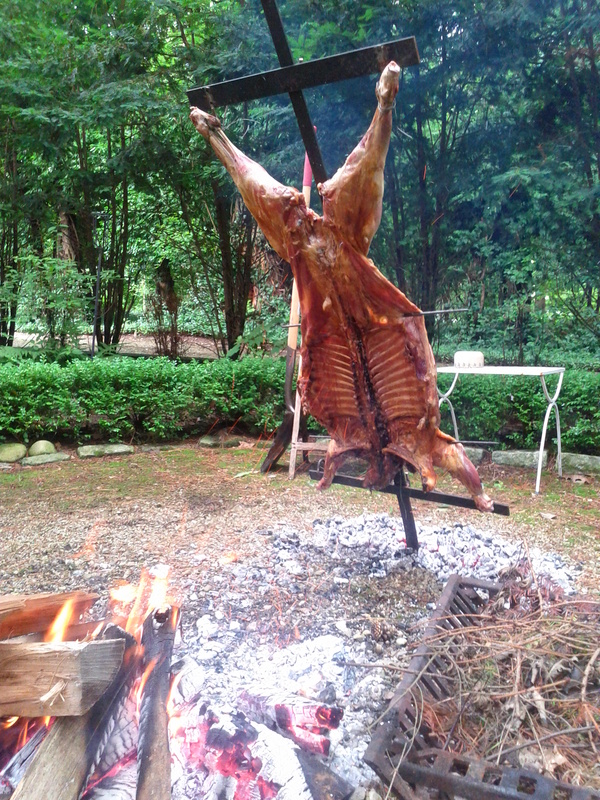 As families planned reunions, birthdays, and weddings, they called on La Pampa to grill whole pieces grass-fed beef, whole lamb, pork and chicken in the traditional wood-fired Argentine style. 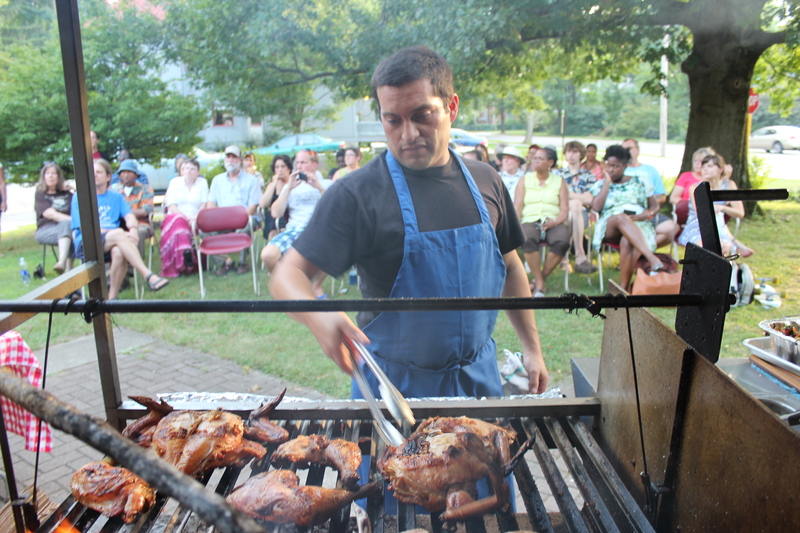 With parties ranging from twenty to two hundred, Mariano poured his heart and soul into preparing the proteins, while families visited the Farmers Market to put the best seasonal produce into inspired salads and sides. 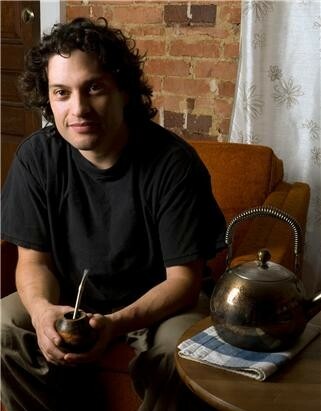 The family-oriented cooking brings everyone to the table, and has been La Pampa’s vision from its beginnings to create slow-food appreciation and community building through cooking. This philosophy is infused in everything that La Pampa does: from the 12 locally raised turkeys that Mariano grilled for families to take home to their Thanksgiving table this year to the family grill-outs and sunny afternoons with kids, their parents, and grandparents sharing Argentine subs and a pick-up soccer game at Peifer Orchards. So, at year’s end, we’d like to offer a resounding “GRACIAS!” to everyone who has been part of ma king La Pampa Grill a part of our community of families and food-producers, and a part of your table! A special thank you to John Peifer, Yellow Springs Brewery, Synergy Incubators, Fifth Street Brew Pub, Kurt Miyazaki, and the Yellow Springs Chamber of Commerce. It was a pleasure to taste the food cooked by Mariano & start to know a wonderful group of ppl… for more events to come.. cheers and happy 2014!!! SALUD Y FELIZ ANIO 2014! !